I do love a good hand cream. I can’t stand having dry hands and carry hand cream around with me at all times. 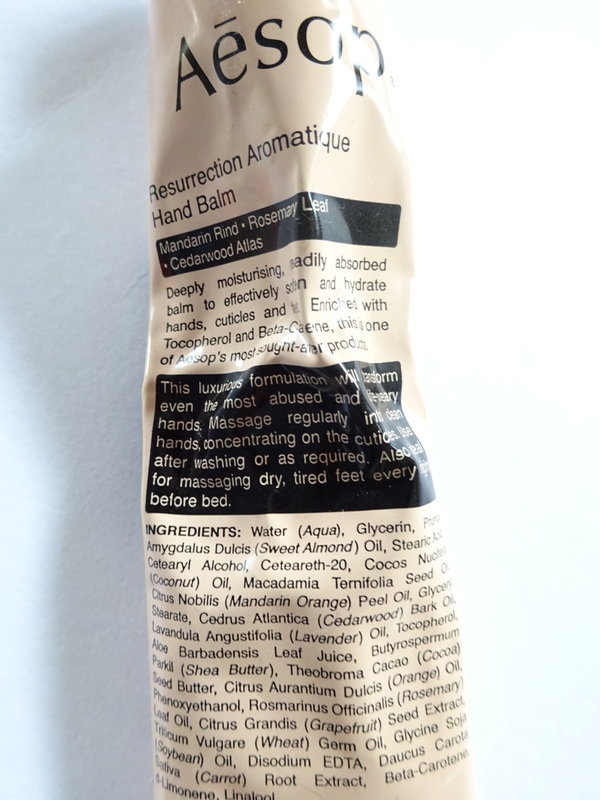 I usually stay faithful to my beloved L’Occitane Shea butter hand cream. 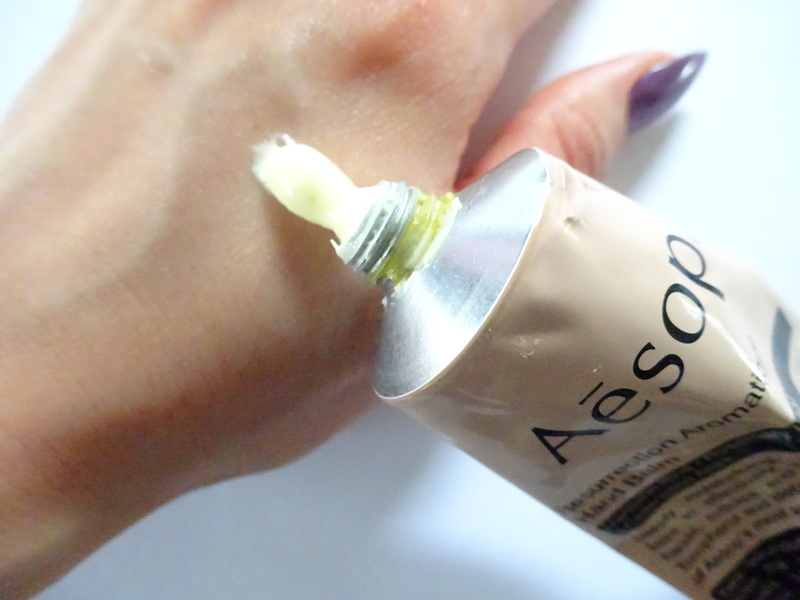 However, recently I have been introduced to the wonders of this Aesop Resurrection Aromatique Hand Balm. First of all, I cannot get over how incredible this hand cream smells. With its hints of grapefruit, lavender and mandarin orange, it’s so fresh and relaxing. It absorbs quickly and leaves your hands feeling moisturised, not sticky. I apply this religiously morning and night, so that I start and end my day with that relaxing scent. Yes I do sit there smelling my hands! I can imagine that this would be wonderful on a long haul flight. I am really intrigued by Aesop as a brand. Their commitment to using high quality, mostly plant-based products really appeals to me. I have heard good things about the Parsley Seed range from Sammi of Beauty Crush and Lily Pebbles. I’m very tempted to branch out to other Aesop products. What Aesop products would you recommend?